As a member of the TOS Review Crew I received a six month trial subscription for two of my boys to TenMarks. TenMarks is an online math instruction program that works through worksheets and videos. Each student does a quick assessment to determine placement here. I would also recommend watching this video. It gives you a nice overview of how this program works. A little background, my youngest taught himself multiplication at five and square roots at seven. His favorite toy? A calculator. Seriously. He wants a graphing calculator next. Did I mention he's nine? Right away he took to TenMarks. He liked the variety. He liked only having one worksheet per day. He liked having the option to do all off his worksheets in one day and ask for more. He's a hands on learner with a little visual thrown in so the videos, the graphics and the multiple choice were perfect for him. I liked the flexibility of the program. As the parent I could change the order of the modules, pause the program, the worksheet reminders and probably many things I don't know I can do with it yet. TenMarks has top notch customer service. They always responded promptly to any emails I sent and patiently walked me through changing the curriculum around to suit my oldest - whose math abilities are all over the place. It also let me know he wasn't doing the work he claimed he was doing thanks to the worksheet reminders. It was easy to communicate with TenMarks via the Feedback tab on the right hand side of the webpage. TenMarks has a VERY flexible pricing structure. You can sign up for a free trial for seven days. If you like the program it is available for $10 per month, $49 for six months and $89 for twelve months. Again, this is another product on my must have list. I highly recommend TenMarks. The product is great and the customer service cannot be beat. As part of the TOS Review Crew I received the Holman Illustrated Bible Dictionary for Kids from Lifeway Christian Bookstore to review. The product is $14.99 and can be purchased here or at a local store. Use the store locator on the Lifeway Christian Bookstore website. 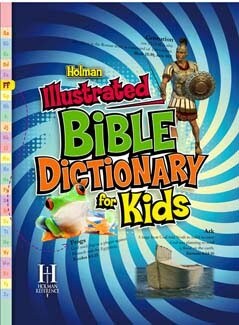 This is a must for any homeschool library in my opinion. You can take a peek inside here. You can also download a sample. I had a lot of trouble reviewing this product. Mainly because I could not pry it away from my kids! My middle would take it to bed to browse over, my oldest would take it to look up something for school and I'd lose him for the rest of the day! Even the youngest - who is not into books - loved browsing through the entries about animals in the Bible. This is more than just a Bible Dictionary with pictures. It has Reconstructions that are great for visual guys like mine who need to be able to 'see' what something might have looked like during Bible times. The illustrated charts and maps were immediately bookmarked for future use and quick access. The pronunciation guide was a big help to my oldest - who is in remediation for his dyslexia and needs encouragement to try and sound out words on his own. One day I noticed my middle son with his Bible in one hand and this book in the other. Upon closer inspection I realized he was using the scripture references in each entry to read about them in his Bible. That alone was enough to sell me on the product. The age range is listed from 5-10 years but my oldest is fourteen and enjoyed it also. The illustrations and pictures are so nice I think all ages could benefit from this resource. As a member of the TOS Review Crew our family was given a free trial to Speekee - Spanish for children - Online. Speekee is a Spanish teaching program that is available online or via DVD (though a PAL compatible DVD player is required). They offer at two week trial and then it is $7.95 per month. There is also an available option for regular schools here. The age range is approximately 2-10 years of age though my eleven and fourteen year old thought it funny and interesting. There are ten videos staring Speekee - a purple puppet that speaks Spanish and interacts with Jim and several kids in various scenes. Closed Captioning translates the Spanish spoken into English so that kids learn as they follow along. I found it a great way to start our school day and we watched some of the videos more than once. I think it would have helped my boys more if I had found it when they were younger. English is pretty tough for my guys and a new language would have to be introduced like this and even then it would be hard for them to grasp. I would highly recommend Speekee for anyone wanting to introduce their child to Spanish. We will probably continue our subscription past the review period so that we can finish all of the activities. As a member of the TOS Review Crew I received a premium trial subscription to Virtual Nerd to evaluate the product. Virtual Nerd is an online higher Math and Science step by step video tutorial program. IT is primarily for grades 7-12. Using a speaker and writing out concepts on a whiteboard - the student is able to absorb the information through two learning modes at once. They offer both a Basic and a Premium account. Basic is free for everyone. 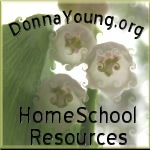 Premium service is free for educators (For public/private schools only). The price varies depending on the plan you choose. $5 per day, $19 for one week, $49 for monthly recurring and $129 for 3 weeks. These are flexible to allow for the various ways to utilize the product. Currently the subjects covered are: Pre-Algebra, Algebra I, Algebra II and Physics. Since my oldest is currently in Pre-Algebra we started and mostly concentrated on that. I highly recommend watching the intro video to get an idea of how this product works. The subjects are broken down into many different concepts. 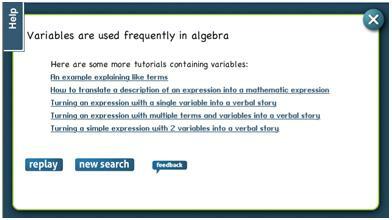 Pre-Algebra is broken down into thirteen areas with sub menus beyond that. Once you watch a video you are provided with suggestions for another related video. You have the option to select one topic or to play all of the selections for a concept. The speaker's pace and diction were just right. The graphics were not overwhelming and the explanations - written and discussed were clear enough for my oldest to follow it. It was great that he could pause it, watch it over and over and come back and watch it again if he needed to do so. He has not gotten very far with Pre-Algebra so the concepts quickly became too hard for him. I let him watch them anyway - figuring as he progresses maybe he will remember seeing the videos. Occasionally we would have trouble getting a video to load but it was rare. We used it on a PC running Windows 7 with the Firefox browser. I briefly looked at the other subjects but since I struggled to finish Algebra I in High School the large majority of it was way over my head. Though I believe the price is a little steep if I were to use it now (for basically part of a subject) I believe it would be a worthwhile investment when my boys reach High School age. Virtual Nerd is a very well constructed, innovative product and one that is certainly on my list to purchase when we reach that level. The pricing structure is makes this much more affordable and flexible to use. It is not a product I would need a year long subscription to - perhaps a day if we were struggling to understand a certain concept. As a member of the TOS Review Crew I received a package from See N' Read© Reading Tools. These products were designed to aid readers with focusing, visual tracking and retaining what they read. They were developed by a mother seeking to help her daughter who was struggling to read fluently. More information on the research behind it can be found here. Enclosed were the Book sized See-N-Read© with the Memory Mark™ feature. This tool measures 5 1/2" x 3" and has a cut out window in the guide section that allows you to highlight or underline without moving your guide. This is also available in Document size which is 8 1/2" x 3". This product can be purchased as a single or in different quantities and packages. A price list is here. I found the Memory Mark™ to be perfect for Bible Study. I could keep my place, not be overwhelmed by text all over the page and highlight or make a note without moving the tool. My kids liked using to to read their literature books but really didn't need to highlight anything. Also in the package was the Document sized See-N-Read©. (8 1/2" x 3"). I had the boys use this one to follow along with worksheets and to keep their columns straight during their math work. They adapted to using it fairly quickly. I did not use this one nearly as much as they did. We will purchase more of these to prevent fighting over them. My boys are easily visually overwhelmed and this was excellent for helping them to focus on what they needed to do. A price list and the various bundles can be found here. The eSee-N-Read™ works very well with computer based curriculum or books on your computer (I used mine with my Kindle computer application and various e-books I've downloaded.) The boys used it with their Switched On Schoolhouse Subjects. This is probably my personal favorite of the three products we tried though the boys would probably give the Document sized See-N-Read© the vote. You can set it up to start when Windows starts, minimize it, adjust the shading and many other things I probably haven't tried yet. It will give you tips if you wish on start up. For now it is only available for the PC but a MAC version is in the works. A single license is $29.99 and multiple licenses are available. I thought these products would be wonderful for my oldest - who is dyslexic. I was pleasantly surprised that not only did he benefit from the products - the entire family did. In fact, I used the Memory Marker™ more than the kids. My husband liked the book sized for his reading as well. We will be buying the eSee-N-Read™ and at least one of each of the other products to be sure everyone in the family has one to use. Please head over and see what other TOS crew members have to say about this product: here.